Welcome to an art experience probably like none you have ever had before. The Barnett Duck Art Studio has been set up to follow a philosophy that allows for not only exploration, but for you, my students. Teaching for Artistic Behavior, or TAB, is a philosophy where it changes the art studio from a teacher-led environment to a student-led one. As your teacher, I have tried to set up the studio and how I run the class to enhance your learning and artistic growth. I want to be able to personalize your artistic journey as much as I can. My goal for you in our TAB studio is for you to think and behave like artists. What does this mean? This means that we will NOT all make the same artwork. In a traditional art class, the teacher has come up with the artwork that you make. In a TAB art class, the teacher expects you, the student, to design the artwork you will create. I know that sounds intimidating. But, as your facilitator on this journey, I have crafted units based on over-arching ideas and artistic behaviors to help guide you. The goal is not necessarily the final artwork, but the process to get there. That is where the learning and growth really occur. I will encourage you to think, to problem solve, to take risks, to talk with other artists, to revise, and to fail. I want you to get messy. I want you to take chances! 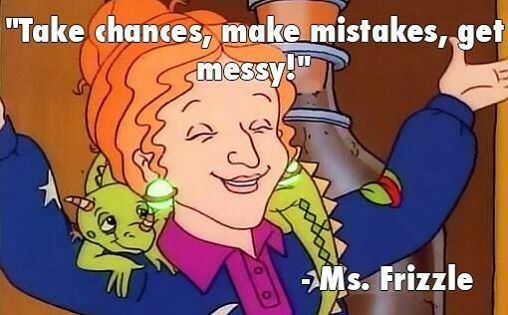 I want you to make mistakes! These are all VERY important to the TAB studio. Don't worry. You will NOT be alone in your journey. I will be there with you, and so will your classmates. You will have a strong community to help you along. I hope you enjoy this year, and I hope that the TAB environment is one where you flourish!